Enjoy summer at the Museum with under the sea adventures, outer space journeys, dinosaur excavations, and other fun expeditions. Are you a creative and curious problem solver? 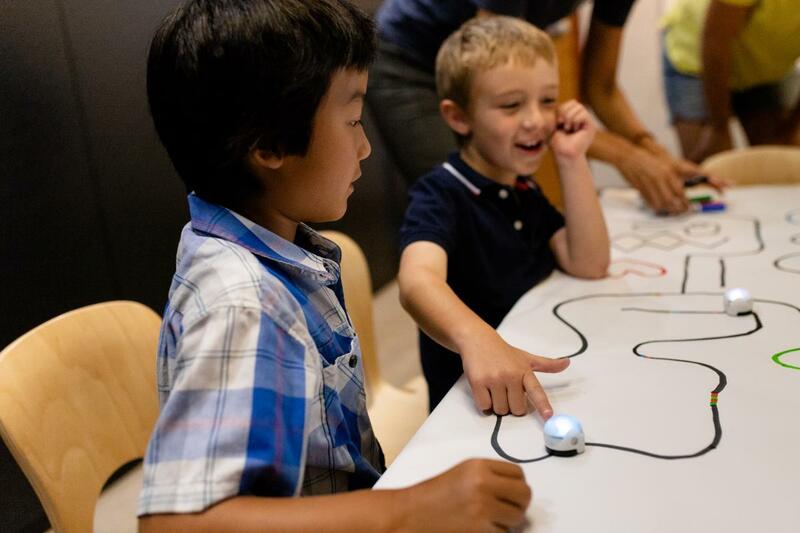 Spend the Summer exploring with San Diego Children’s Discovery Museum. Each day of camp includes access to Museum exhibits, hands-on exploration with trained education staff, and an opportunity to make new friends. * Little Explorers Summer Camp offers Half-Day (9:00 am-12:00 noon) or Full-Day (9:00 am-4:00 pm) options, with an additional option to stay for lunch and play on Half-Days. 3...2...1...BLAST OFF! Build rockets, dive into the exciting history of space exploration, create galaxy art, and uncover your inner astronaut. Engineer devices that float, paint ocean creatures, uncover sunken treasures, and discover mysteries of the deep blue sea! Build robots, design tall buildings, speak the language of computers using coding, and gain hands on experience as a problem solver! Become a paleontologist when you dig for dinosaur bones, create fossils, and paint prehistoric masterpieces. Travel the world and learn about artists and art styles from other countries. Join us for a special Art Gallery featuring campers on August 3. 11:15-11:45 Science, Technology, Engineering, Art and Math (STEAM) Activity: campers can choose from different hands-on activities based on their interest. 3:30-3:45 Science, Technology, Engineering, Art and Math (STEAM) Activity: campers can choose from different hands-on activities based on their interest. *Campers are required to bring their own (peanut-free) snacks and lunches. Little Explorers Summer Campers will perform a special song on stage at the final Summer Concert. This special event will be complimentary for all Little Exploerers who joined us at camp over the summer.